Merge ItTap matching tiles to merge them and reach the target number. Maya BubblesEmbark on a bubble shooting expedition to find ancient treasure. Flower Mahjong ConnectA popular variant of mahjong solitaire with a garden theme. Flower Mahjong SlideSlide matching mahjong tiles to make pairs. Odd One OutExercise your mind by finding the odd character out. Mahjong ClassicA Mahjong Solitaire game with multiple boards to choose from. 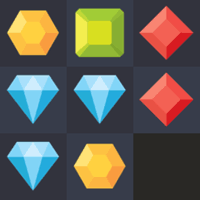 Match DropTap like colored groups of gems to eliminate them in this relaxing casual game. Balls v SquaresFire a column of balls at the squares to eliminate them. Fruit MatchingA fruity match three game. How long can you last? PipesCan you connect the pipes and solve each puzzle? Choppy TowerPlace the blocks at just the right time - any overhang will be chopped off. Butterfly KyodaiA beautiful Mahjong Connect game. Link the butterfly wings to set them free. 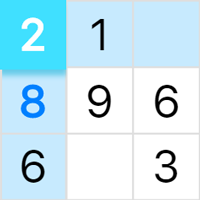 SudokuSudoku is a challenging brain game which is enjoyed by millions of people worldwide. Bubble SplitterDodge, collect power ups and fire at the bubbles to split them in two. 2048 SolitaireSimple to play but so satisfying. Can you make a 2048 card? Neonjong 3DA fun 3D Mahjong game. Match SolitaireA new Solitaire game inspired by Mahjong. Tap matching cards to clear each level. 2048 MergePlace like numbered tiles next to each other to combine them. Another fun variation of 2048. Brick BashUse the paddle to deflect the ball and destroy the bricks. Lots of interesting power-ups. Block ShooterShoot blocks and buy upgrades. Simple but surprisingly addictive. Flapsanity1 or 2 player Flappy Bird/Copter style fun. Can you out flap your friends? 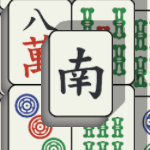 More MahjongCan you complete all 36 tables in this casual Mahjong Solitaire game? Ninja ActionTest your ninja abilities in this one button skill game. Kings KlondikeA special Klondike Solitaire variant with two decks and revealed cards. Hexagon FallHow many shapes can you remove without losing the hexagon? Connect LinesRotate the lines to connect them and solve the puzzles. 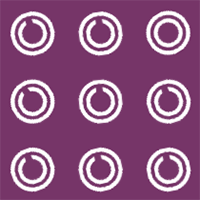 ToopsA minimalistic ballistic puzzle game that is like an endless round of plinko. Jewel HuntA brand new match 3 game. Swap the jewels to match 3 in a row. Can you beat all 40 levels? 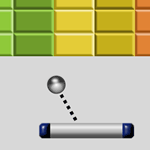 Blue DropCan you connect the blue shapes in this physics puzzle game? *New levels added. Hidden Object: Pirate TreasureFind the hidden objects in a swashbuckling adventure. Classic SolitairePlay classic solitaire with traditional Klondike rules and also an undo button. Icon MahjongAn alternative Mahjong game featuring colorful icons. Golf SolitaireSimple to play and lots of fun. My favorite solitaire game. 4 ColorsEnjoy this colorful UNO inspired card game. BackgammonBackgammon is one of the oldest known board games. Can you outsmart your opponent? Make 7Can you make a 7 tile in this hexa relaxing puzzle? BlackjackPlay for pretend chips in this free online blackjack game. Dino BubblesA prehistoric bubble shooter with a twist. ChessChess is proven to raise IQ and help prevent Alzheimer's / Dementia. Have you played it today? MinesweeperCan you clear the minefield? Be careful, one wrong move and you're toast! Brain TeasersExercise your lateral thinking and problem solving skills with these unusual questions. Spider SolitairePlay classic Spider Solitaire with 1, 2 or 4 suits. The more suits the trickier it gets! CheckersBoard games are excellent for building logical thinking skills and Checkers is no exception! IndiaraInspired by the boulder chase from Indiana Jones. Can you escape with the gold skull and your life? Scrambled WordsUnscramble the words and exercise the parts of your brain that manage language and recollection. ReversiJump over your opponents disks to claim them as your own. Play vs the computer or a friend. RiddlesHow many riddles can you solve? Are you able to think outside the box? 2048THE addictive sliding tile game. Slide like tiles to combine them. Can you reach 2048? Free JumperTap the screen to jump and try to avoid the moving bars. How high can you score? HextrisA colorful match 3 game where you must rotate the board to match the falling colors. HangerSwing like spiderman in this fun one button game. How far can you get? I wanted to create a consistent experience across all devices. Often web games will only work on computers and if you visit on a mobile device they don't play. Other times if you visit the website on desktop then mobile you are presented with completely different games. I wanted to make a consistent experience on any device so if you play a fun game on your computer in the afternoon you can come back later on your phone to play it in bed. Or you want to show a friend you can pull it up on their tablet. All of the games on the homepage of this site are compatible on any device. Web games have traditionally been played in a little box with adverts around them and that is how many websites still serve them. Some of these games are fantastic and it seems such a shame to deliver them like that. That is why I've made it possible to play all of the games on this site full screen. It is how I prefer to play games and I think it makes such a big difference to the user experience. To enter fullscreen mode just press the "fullscreen" button located above any game. I played some games on my phone recently and was horrified to see that it's now commonplace for developers to show full screen adverts after every level in their games. In one game I played there was a video advert before AND after every level! The best experience when playing a game comes from full immersion and engagement. It doesn't matter if you're playing a story driven blockbuster or a challenging game of Mahjong; players should be able to reach a state of flow. That is impossible if you are being interrupted and forced to watch full screen adverts every 2 minutes. You will notice that all of the new games added to this site (including all on the homepage) rarely display video ads. I could instantly double the revenue this website makes by adding them but for me user experience comes first. This website is supported by a handful of static adverts which you will notice dotted around its pages which you can easily ignore and will never interrupt your gameplay. I want players to be able to click (or tap) and play instantly. That's why I've used the latest cloud hosting technology to serve it all over the world from a location near you. I've also worked hard with site optimizations to make everything work as fast as possible. This is another advantage of removing video adverts as it means you can start your game much faster. I continuously update this website with new games and improvements. Rather than guess or assume what you want I have a secret weapon - I ask! You will notice feedback buttons and often short surveys popping up around the site. If you have any thoughts, issues or ideas don't keep them to yourself - let me know. I read every piece of feedback submitted and use it all to help decide what changes and features to implement in to both the website and games. All of our titles can be played instantly with no need to download. Why fill up your phone or laptop with downloaded games you aren't even sure you will like yet when you can play them like this? Last on my list and most important of all is great games. I develop and hunt down the most fun games for you to play. "Create the best free games website for the players"
Thank you for reading and for using FreeGames.org. Have fun!